For all of you in the Central FL area! 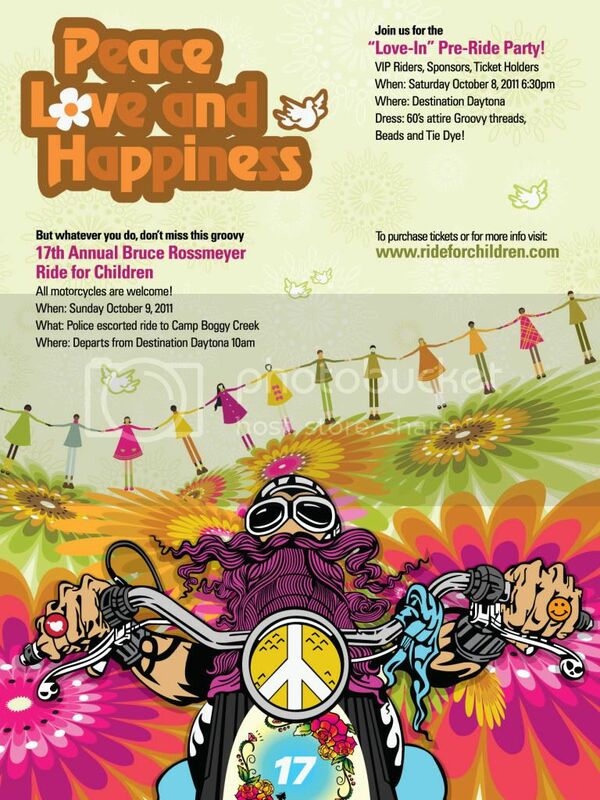 - This year, Camp Boggy Creek is having it's 17th year anniversary of the "Bruce Rossmeyer Ride for Children." Below is a little information about the event.... We hope you'll be able to join, it's all for a good cause. The ride starts at Destination Daytona and ends at Camp Boggy Creek (Eustis), where you get an Outback Steakhouse catered lunch with free Miller Beer, Coca-Cola products, and Newman's Own Lemonade. Camp Boggy Creek wants as many bikes as possible! Thanks for sharing the event with us. 2nd Annual Randy Cares Ride Beaverton, OR Sep. 13!